This movie dives into the phenomenon of SUNDS (Sudden Unexplained Nocturnal Death Syndrome), which many blame on Shadow People. The movie stars Dallas Roberts from the AMC hit TV show The Walking Dead. Mr. Roberts plays the part of a somewhat down on his luck radio personality just hoping to keep his show on the air. What he gets is a life changing call from a young man named Jeff, who talks about seeing "Shadow People". Once Charlie Crowe, Roberts character, gets his mind opened to the shadow people and more mysterious deaths occur, a spooky glimpse into the unseen world takes place. The plot thickens again once a CDC agent joins the hunt for a cause of death. As the movie progresses, Charlie becomes more frazzled and fearful of the shadow people. I found this movie very entertaining and it does a good job creating a creepy atmosphere. 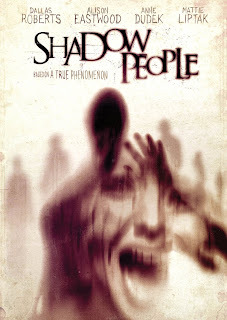 According to the storyline Shadow People is based on true events that took place in my corner of the world, Eastern Kentucky. The movie does a excellent job of blending in News footage and what appears to be real world interviews with the real people involved. While this movie may not appeal to everyone, it does a fine job of with the subject material. I would suggest you give it a view if you're looking for a creepy supernatural thriller base on some true events. new born, healthy baby had passed away. This was in the same direction the death angle had gone. So in closing I would just like to say the movie is well done all the way around and well worth watching. So are Shadow People real? Watch the movie before you answer. 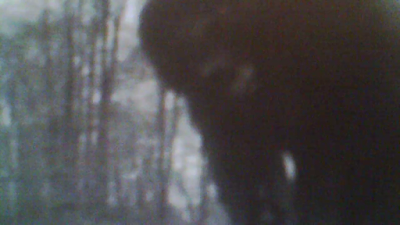 Has anyone ever considered what goes on in the mind of someone thinking about the possibility of actually shooting a bigfoot? Rick Dyer may have tested the legal waters so to speak in 2008 just to find what kind of legal ramifications the state and federal authorities would try to enforce upon him!